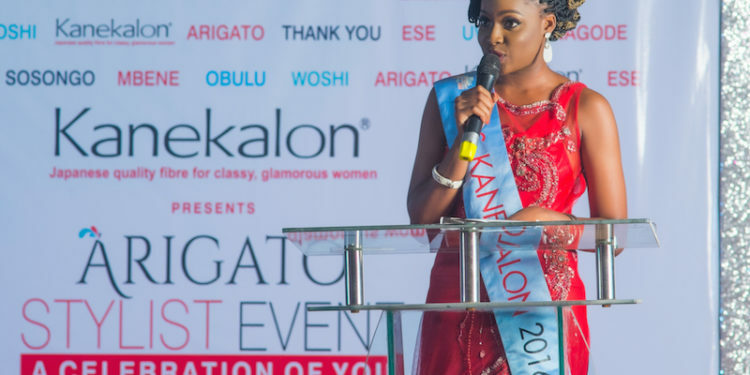 It was a day of glitz and glamour as Kanekalon, the world’s leading manufacturer of quality hair extensions, appreciated members of the hair industry at the Kanekalon Presents Arigato Stylist Event. The term Arigato is a Japanese expression for gratitude. 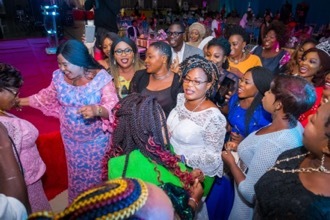 This glamorous occasion was graced by the movers and shakers of the Nigerian Hair Dressers Association like Chief (Mrs.) E.A. 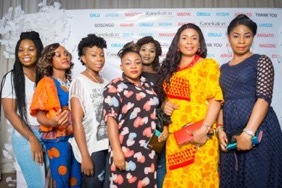 Koleade, Deaconess (Mrs.) Tom, Alhaja M. M. Bakare, Chief (Mrs.) Olufunmilayo Ughutevbe and Mr. Xabury Opeloyeru; major hair distributors such as Madam Universal, Tina Chiogor, Madam Vicky, Chief Marcel International and Mr. Martins Obiako; members of the media as well as dignitaries such as Dr. (Mrs.) Adebisi Elizabeth Osinsanya(OON, JP) aka Mama Elegant Twins and Chief Mrs. Opral Benson (OON). Also, posthumous tributes were paid to Late Madam Comfort Erus, Madam Chika Tina, His Royal Highness and Lolo Romay, for their immerse contributions to the industry. 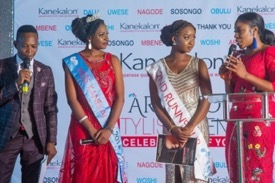 The high point of the event was the premiere of the Kanekalon Hair Tips Video, featuring the reigning Miss Kanekalon – Benahili Ojeme, who not only dazzled guests with her chic style but also provided amazing demonstrations on how to achieve the style shown in the video. It was stated that video and more like it will be available soon on the Kanekalon Africa Facebook page. Ojeme later took the stage giving a speech about her journey to becoming Miss Kanekalon and how winning the pageant has changed her life. 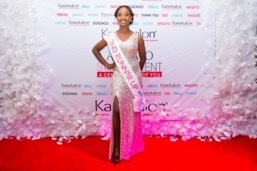 She went on to invite young ladies and their stylists to take part in the upcoming Miss Kanekalon 2018 pageant. 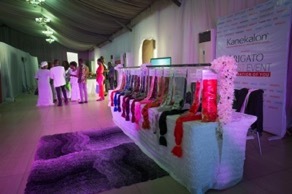 From the history of Kanekalon in Nigeria, to live product demonstrations, leading to an actual experience of a set of uniquely different hair extensions, Kanekalon revealed what makes it the preferred hair fibre to millions of women all over the world. Some of the distinguishing features of the Kanekalon fibre is its fire retardant quality, hot water set technology, natural softness, and silky texture. 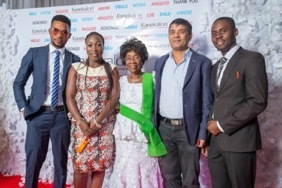 What a display of glamour and colours, as guests came in the most attractive braid styles, all styled using various brands made from the Kanekalon fibre, such as Darling and X-pressions. to get latest updates on the pageant. 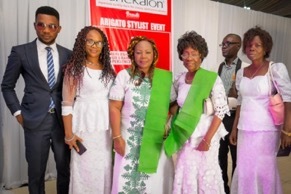 They further expressed their profound gratitude to hairdressers, stylists, and hair distributors for their continued patronage through the years. 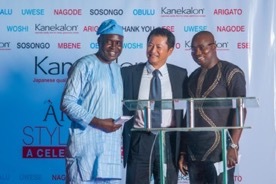 And since the event was all about saying thank you to members of the hair industry for their support over the years, Kanekalon presented certificates and gifts to the various hairdressers’ and stylists’ associations present. Arigato – thank you – from Kanekalon to you.